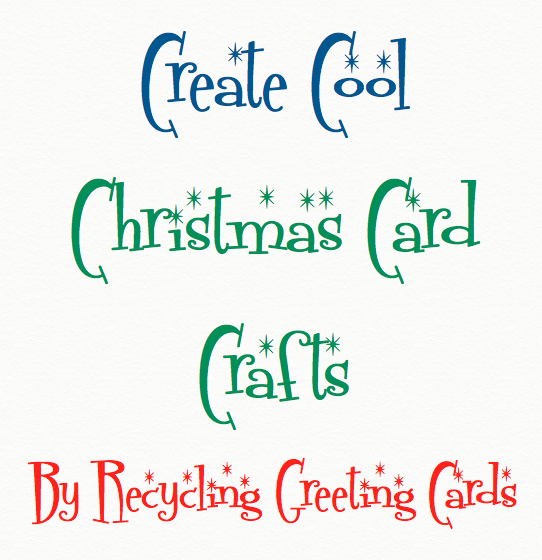 Create Cool Christmas Card Crafts Just Recycle Greeting Cards. It seems like such a waste to toss holiday cards in the bin and turn them into landfill. Still many of us live in towns that don't recycle cards. So, what can we do? You can donate cards to St Judes Greeting Card Program (which, by the way, takes cards for all occasions). But, what if you love that card and want to look at it again and again? Or, you just want to extend the use by upcycling them in your own way? 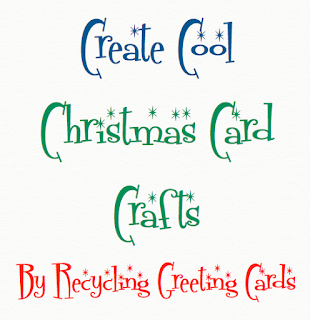 Recycle crafts are a great way to reuse cards. 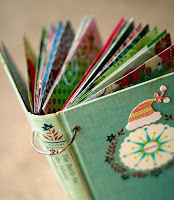 Greeting cards can be year long projects and made into beautiful objects. 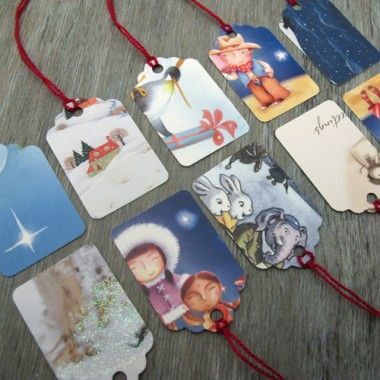 Here are some fun ways to upcycle your cards for this year and next. *note: These ideas work for any holiday just use appropriate cards. Imagine valentines, Easter, Chanukah, Eid, even Patriotic holidays! Use new or vintage cards. 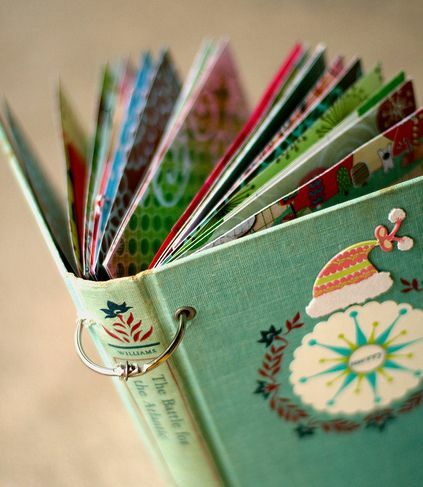 Make a keepsake Christmas book-put it out each year as a decoration! Make greeting card napkin rings! Cut up cards make a picture or another card for the next year. Make decorations from old cards for following years. Used cards make great recycled coasters round or square, laminated or not. Cover a tin to make organizers and holders for office or craft room. Use one card or make a collage. Cut up or roll cards to make cones, bags or holders for candy or small gifts . 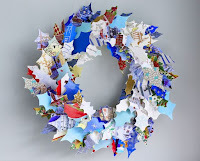 Make a wreath with cards, you can cut them into shapes of stars, holly, reindeer, hearts etc. Just use your holiday imagination. Make a holiday bracelet for the next holiday season. Just wrap an old bangle. Wear them or give them for gifts! Frame your favrite cards to display on your wall or table next year-they make great decorations! We hope you have been inspired to do some simple crafting with friends, family and kids. Happy crafting from your Pals!